« More on Friday knitting creativity! This is a beautiful sweater! Sally Melville would be proud – always telling us to knit without a pattern! 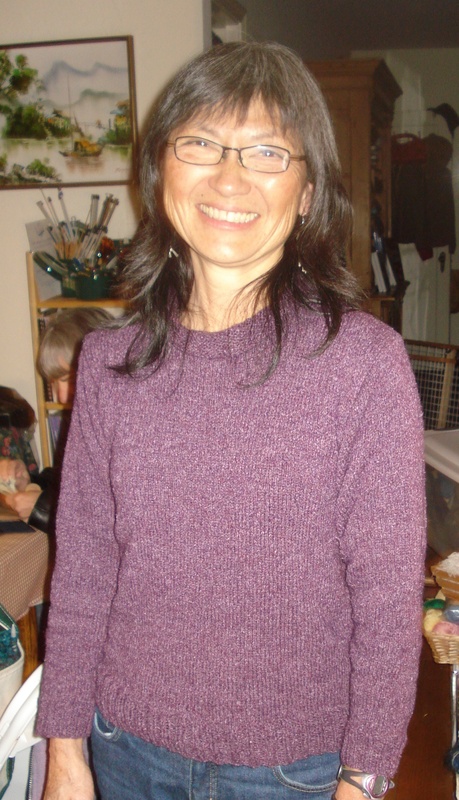 Thank you….Marsha is so pleased with her sweater…I have forwarded your comments to Marsha… and I will pass comments onto Sally!